"Calends Study Club : 1954 - 1955." 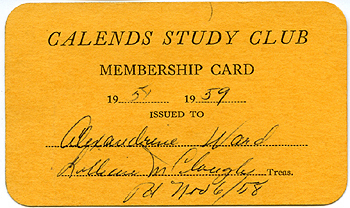 Calends Study Club : 1954 - 1955. "Calends Study Club : 1954 - 1955." (2017). Annual Membership information and lists. 4.